Whether you are relocating for more affordable living options or to be closer to family and friends, moving from NJ to Minnesota is no small job. So, it's important to find a mover that can take your belongings safely across hundreds of miles. Simonik Moving & Storage has provided long-distance moving services since 1977. Our BBB-Accredited company is more than capable of handling the job. Plus, we're committed to providing you a great quality of customer service. 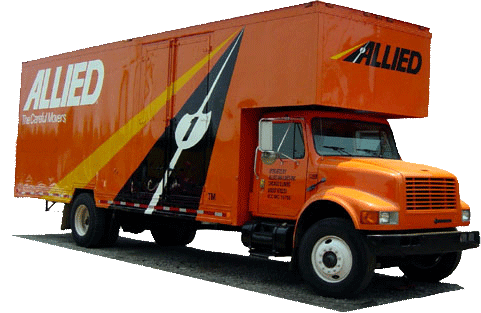 Our award-winning agent status with Allied Van Lines also gives us access to the resources of a nationwide network of hundreds of professionals in the moving and storage industry. We can help you relocate anywhere within the United States. It doesn't matter if you have a small or large household, you'll want a moving company that is able to safely meet all of your relocation needs. Our moving consultants can show you what makes us different during a free, at-home consultation. He or she can also provide an accurate price estimate for the costs of moving to Minnesota from New Jersey. When you choose us, you'll be assigned a personal Relocation Coordinator who will guide you throughout the entire process, answering questions as you go. We are happy to provide short- and long-term storage in our warehouse facility for those who need a little more time to complete their New Jersey to Minnesota move. All of your items are stored in sturdy containers built for long-distance shipping. We can store household belongings securely for any length of time, until you are ready to receive them. As a previous recipient of the 'Mover of the Year' award from the New Jersey Warehousemen & Movers Association, Simonik is proud to serve households throughout North and Central Jersey. Our many service areas include, Hunterdon, Mercer, Middlesex, Monmouth, Morris, and Somerset counties. As a ProMover member of the American Moving and Storage Association, we're up-to-date with all of the requirements associated with assisting you in that long-distance NJ to MN move. Reach out to Simonik Moving & Storage by phone to learn more about our moving services. We can help you with all of your NJ to MN moving needs. For a free, no-obligation moving estimate, fill out our online quote form!